Petroleum engineering now has its own true classic handbook that reflects the profession's status as a mature major engineering discipline. Formerly titled the Practical Petroleum Engineer's Handbook, by Joseph Zaba and W.T. Doherty (editors), this new, completely updated two-volume set is expanded and revised to give petroleum engineers a comprehensive source of industry standards and engineering practices. It is packed with the key, practical information and data that petroleum engineers rely upon daily. 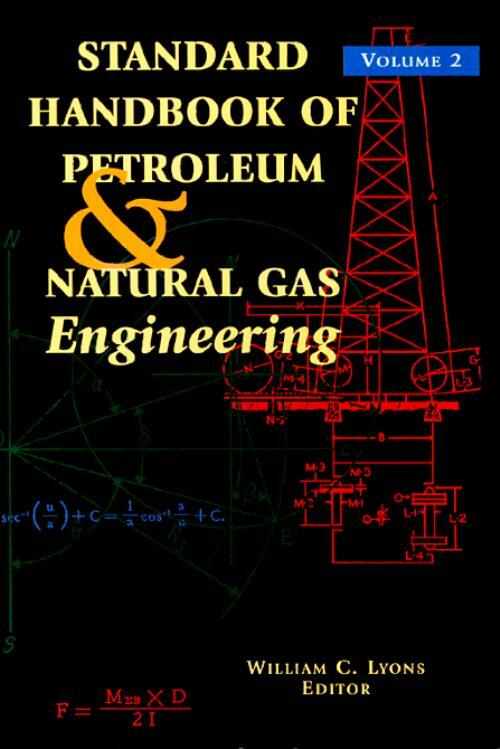 The result of a fifteen-year effort, this handbook covers the gamut of oil and gas engineering topics to provide a reliable source of engineering and reference information for analyzing and solving problems. It also reflects the growing role of natural gas in industrial development by integrating natural gas topics throughout both volumes. More than a dozen leading industry experts-academia and industry-contributed to this two-volume set to provide the best , most comprehensive source of petroleum engineering information available. Preface. RESERVOIR ENGINEERING. Basic Principles, Definitions, and Data. Formation Evaluation. Pressure Transient Testing of Oil and Gas Wells. Mechanisms and Recovery of Hydrocarbons by Natural Means. Material Balance and Volumetric Analysis. Decline-Curve Analysis. Reserve Estimates. Secondary Recovery. Fluid Movement in Waterflooded Reservoirs. Estimating Waterflood Residual Oil Saturation. Enhanced Oil Recovery Methods. References. PRODUCTION ENGINEERING. Properties of Hydrocarbon Mixtures. Flow of Fluids. Natural Flow Performance. Artificial Lift Methods. Stimulation and Remedial Operations. Surface Oil Production Systems. Gas Production Engineering. Corrosion and Scaling. Environmental Considerations. Offshore Operations. References. PETROLEUM ECONOMICS. Estimating Oil and Gas Reserves. Classification of Petroleum Products. Methods for Estimating Reserves. Non-Associated Gas Reservoirs. Production Stimulation. Determining the Value of Future Production. The Market for Petroleum. Economics and the Petroleum Engineer. Preparation of a Cash Flow. Valuation of Oil and Gas Properties. Risk Analysis. References. Appendix: Units and Conversions (SI). Index.